Minshew is auditioning for NFL teams and knows he'll have to explain the circuitous journey he took around college football before landing in Pullman. 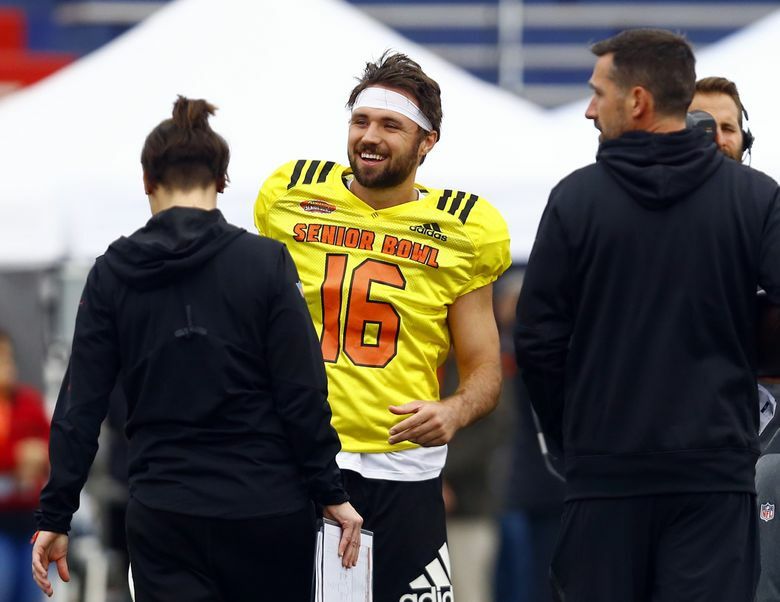 MOBILE, Ala. — Gardner Minshew carved his own meandering path from walk-on to NFL prospect. He then spent two seasons at East Carolina, where he started two games as a sophomore and passed for 2,140 yards and 16 touchdowns as a junior. Minshew didn’t head directly toward his final college destination, Washington State. He planned to enroll at Alabama, if Jalen Hurts decided to transfer. Hurts stayed put despite ultimately losing the starting job to Tua Tagovailoa, who was Heisman Trophy runner-up, a few spots ahead of Minshew in the voting.